The John M. Pfau Library hosted CSUSB’s first ever comic book expo on Feb 21. The event took place on the fifth floor, in the Multimedia Center, and began with introductions from the Dean Cesar Caballero, James Knight III and special guest and comic book publisher Javier Hernandez. 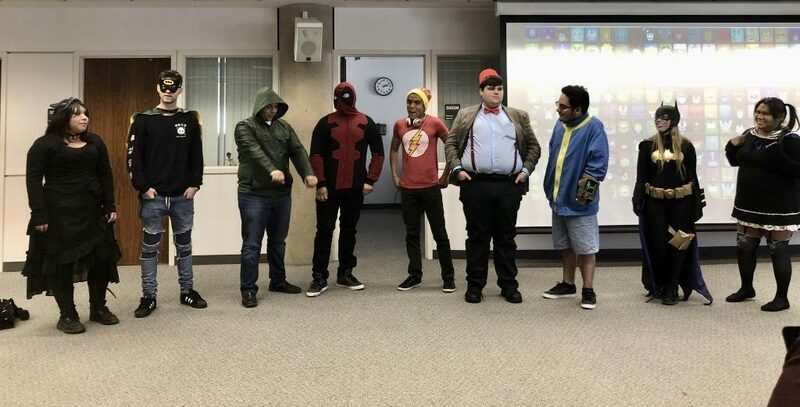 Following the open discussion, a costume contest was held where students were able to dress up as their favorite comic book characters and enter an opportunity drawing for prizes. Students dressed as characters such as Deadpool, Dr. Who and Batgirl, among others. Attendees could participate in an interactive workshop with Hernandez. He taught them how to design artwork in comics, publish and put together a comic book. 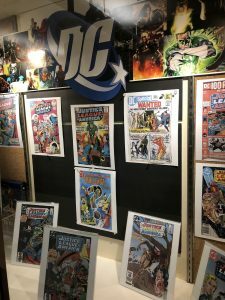 Aside from this, students were also able to view various exhibits that were displayed throughout the floors of the library, which included comic books from “Archie,” “The Walking Dead”, “Judge Dredd”, Marvel and DC. The event was put together by Library Services Specialist Pat Rice-Daniels, along with the Pfau Library’s Program and Marketing Task Force and various faculty and staff members. “It took more than several months to organize this event because it was our first time. Working on and completing all the exhibits took about a couple weeks too,” said Daniels. The program had a good turn out and was well received by attendees. “This event was very informative. It was cool to interact with other people that like comic books and have discussions about them,” said Art Institute of Inland Empire student Yvonne Pineda. Students like Alfredo Sanchez hope to see this program return in future quarters because of the uniqueness of it. “I’m really happy that the library decided to host this event. It was a lot of fun,” said Sanchez. The John M. Pfau library hosts various programs and workshops for students to attend, which vary from how to cite in APA to how to conduct library research. The library will host labor leader and civil rights activist Dolores Huerta on March 7. “I will certainly try to make this an annual event. I’d like to thank our Office of Strategic Communications for promoting and publicizing this event, our library administration, faculty and staff for helping execute this program,” said Daniels.